During a deposition in 1990, President Ronald Reagan could not recall the name of the chairman of the Joint Chiefs of Staff. We now know that he went on to develop Alzheimer's disease. Did he already have the disease at that time, or perhaps even earlier? While we will never know the answer definitively, his experience illustrates how Alzheimer's disease often starts. In Reagan's case it began with forgetting names, a common symptom of age-related memory loss. 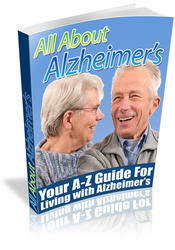 This is classic for Alzheimer's disease: in its very early phases, it is nearly impossible to distinguish it from memory loss solely due to the aging process, but over time, other symptoms develop. (Recall the case of Frieda Kohlberg, the seventy-four-year-old Holocaust survivor with a genius-level IQ whose only neuropsychological abnormality was a subtle deficit in recent memory; this was the first sign of Alzheimer's disease.) But with all the new technology now at our disposal, isnt there a better, more accurate way to make an early diagnosis of Alzheimer's disease?